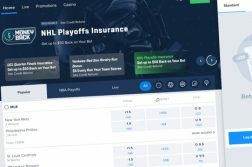 Quick action and innovation over the past eight or nine months have boosted several of the nearly dozen legal online sportsbooks in New Jersey to the forefront. And one of the most innovative ideas – marrying online casino gaming to sports betting – has just been further advanced by DraftKings Sportsbook. On Tuesday, DraftKings announced that it has added Live Dealer casino games such as baccarat, hold ’em poker, and roulette to its sports betting app platform. In mid-December, DraftKings launched the casino segment of its betting app, which is licensed in partnership with Resorts Casino in Atlantic City. At first, only a single blackjack game was offered, but in early January online slots, Double Double Bonus video poker, and roulette were added to the mix. “iGaming performance has significantly outpaced our internal projections, and there was tremendous crossover between sports betting and iGaming during the Super Bowl,” said DraftKings executive James Chisholm. Following the announcement, DraftKings was quick to launch its Live Dealer product, which is powered by Evolution Gaming, the same provider that powers the Live Dealer lobbies at Hard Rock Casino, Play SugarHouse, and several other existing NJ online casino sites. Blackjack may be limited to five tables of seven players for now, but players anxiously waiting in line can make use of the Bet Behind feature, which allows players on the rail to place a bet on another player’s hand. DraftKings’ Live Dealer games are currently only available on its mobile sports betting app, and from the hours of 11 a.m. – 3 a.m. None of its casino games have been ported over to desktop yet, but it only seems like a matter of time. Although only three states aside from New Jersey have approved online gambling, all three also are legal sports betting states. However, Nevada only offers online poker, which at this point does not appear to be in DraftKings’ plans. That presumably could change if more states come aboard, although a recent new Opinion regarding The Wire Act has cast a pall on the possibility of interstate poker compacts like the one entered into by Nevada, New Jersey, and Delaware. At the very least, the Opinion has caused confusion, both in the mainstream media and the regulated gambling industry in the U.S.
Delaware, which like New Jersey unveiled a full suite of online casino gaming options in Nov. 2013, has both a tiny population and a regulatory framework that features management of the gambling by the state’s lottery commission. So Pennsylvania would seem to loom as the next frontier for DraftKings. The state is scheduled to launch online casino gaming sometime this year, it has an even larger population than New Jersey, and the state’s culture – especially in the Philadelphia area – seems quite amenable to gambling. DraftKings, for now, can focus on honing the pairing of online sports betting and casino gaming in New Jersey, setting up itself nicely to strike quickly whenever other states finally approved online gaming as well. Whither FanDuel, DK’s archrival in Daily Fantasy Sports? Recall that parent company Paddy Power Betfair was an early adapter in the online casino gaming space in New Jersey via Betfair’s licensing deal with Golden Nugget. Betfair has wisely integrated its online casino into the FanDuel Sportsbook platform, with the two already sharing a wallet. Going further, new FanDuel players with existing Betfair Casino accounts can even bypass the registration process, using their existing Betfair login. So for now, it seems unlikely that FanDuel will launch its own branded online casino, but that might not be the story in other states.